The Gaming Innovation Group (GiG) a European company with an emphasis in sportsbooks have signed an agreement with Hard Rock International to use its multichannel sportsbook platform in its Atlantic City casino. The agreement is a first for both groups, and both companies are hoping for a profitable future. Hard Rock Entertainment was actually founded in the United Kingdom in the 1970s by two men who wanted to have restaurants with a rock theme. Gradually the business expanded into hotels and casinos. The entertainment company has changed hands several times, but has been purchased by the Seminole Tribe of Florida as a way to expand their business empire. The tribe now owns 164 restaurants, 24 hotels and 11 casinos all over the world. The tribe has also purchased some condominiums as well. It is estimated that the Hard Rock Entertainment franchise is worth more than $25 billion dollars. Gaming Innovation Group is a Scandinavian company operating out of Malta with five locations. The company began as an online poker company, and then branched out into casino gaming and sports betting online. The company was able to move fully into online gaming platforms, signing additional game vendors and including different payment vendors on the platform. In addition to online gaming and sportsbooks, the company also has cloud-based gaming software division and a B2B service for iGames. The group owns several domains for online gaming, such as Guts.com, Rizk.com, Betspin.com and Thrills.com. Sports betting websites include OddsModel.com. 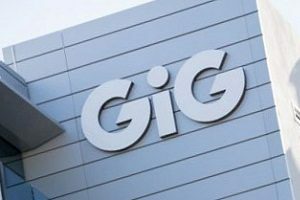 The Hard Rock Group has made an agreement with GiG to offer all of its omnichannel sports betting services at its brand new casino in Atlantic City. The company recently opened the remodeled hotel, formerly the Trump Taj Mahal, along the Boardwalk. The hotel underwent a $500 million renovation. The former hotel was essentially gutted to make room for the Hard Rock vision. The new hotel, which opened at the end of June, features over 2000 rooms and over 160,000 feet of gaming space. There are also new concert venues that can seat up to 7000 people at a time. Concerts are planned for the entire first year of the opening. 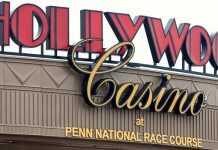 Sports’ betting was officially allowed in New Jersey when the Supreme Court agreed with New Jersey’s challenge and ruled the 26-year-old law that prohibited sports gambling nationwide was unconstitutional. 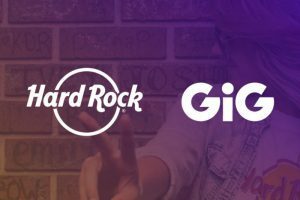 The original agreement between Hard Rock and GiG states that the casino will use GiG Sports Connect, Trader and Goal. Self-service betting terminals will be set up throughout the casino to facilitate sports gambling in the casino. There will also be over the counter wagers taken in the casino. The gaming company will make it possible to place sportsbets online and via a mobile app. 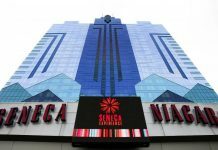 The two parties agreed if the venture was successful, they can expand the partnership to other casinos. It is expected that while only a handful of states currently allow sportsbooks, other states will adopt legislation by 2020. Many experts believe that as many as 20 states may adopt legislation for sports betting within the next two years. Hard Rock Entertainment is going ahead full throttle with its attempts to be on the forefront of sports gaming, especially in its home state of Florida. The owners of Hard Rock were against the passage of Amendment 3 in the state of Florida because it limits further gaming ventures (casino gaming in particular) without voter approval. The casino group has also sponsored the Miami Dolphins, becoming the stadium naming partner in 2016. Both GiG and Hard Rock Entertainment expect to begin showing the profits from their joint venture in Quarter One of 2019.